Austrian physician and writer; born at Bydzov, Bohemia, in 1788; died Nov. 7, 1859, at Nagy-Kanizsa, Hungary, where he had been practising medicine since 1811. As a writer he devoted himself chiefly to the works of Josephus, whose "Antiquities" he translated and in part annotated (1826, 1843, 1851). 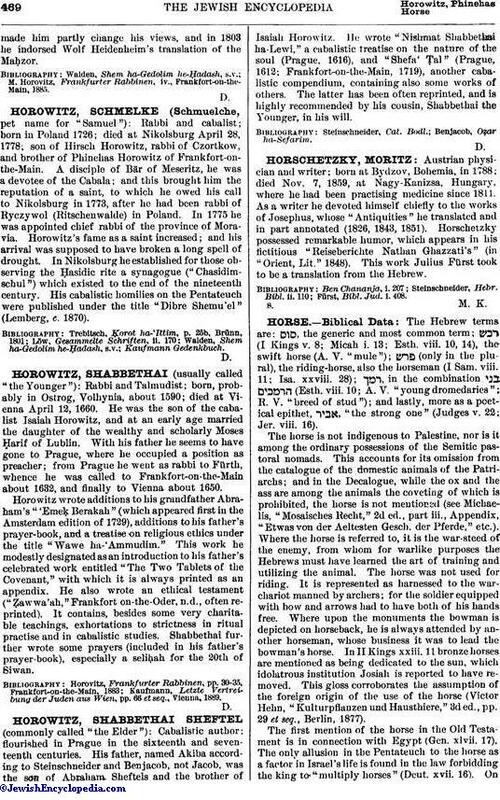 Horschetzky possessed remarkable humor, which appears in his fictitious "Reiseberichte Nathan Ghazzati's" (in "Orient, Lit." 1848). This work Julius Fürst took to be a translation from the Hebrew. Fürst, Bibl. Jud. i. 408.